Identity theft is a huge problem in the U.S. Every year billions of dollars are stolen by people pretending to be someone else. I was a victim myself last year. And because my identity had been tampered with by some unscrupulous person, my credit card was blocked and I was unable to transact legitimate personal business. It is extremely important to protect your identity from thieves. 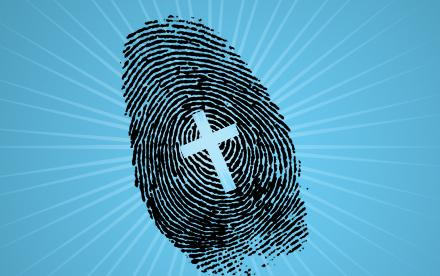 What is true of your physical identity is even more true of your spiritual identity. If Satan is permitted to tamper with your revelation of who you are in Christ so that you are confused about how God sees you and whom He has made you to be, he can wreak havoc and make your life miserable and unproductive. And you will find yourself struggling to transact legitimate spiritual business on behalf of yourself and others. Things that should be easy, like releasing faith for miracles, receiving answers to prayers, overcoming temptations, leading sinners to Christ and ministering to others will become nearly impossible. You are chosen. You did not beg God to accept you. You did not have to. It was He who pursued you. It was He who asked you to accept Him. He loves you. You are royal. You do not need to be impressed by British royalty. Why? You are royalty yourself. You are a member of the family of God, a born-again child of the King who created, owns, and runs the Universe. Royal blood flows through your spiritual veins and arteries. You are holy. That which is holy is set apart unto God to be used for uncommon purposes. Your faith in Jesus has set you apart for God’s glory. You have ceased to be common. You are no longer ordinary. You are clean. You are peculiar. Not odd, but special. In a peculiar way, unlike other people, you belong to God. His own, special possession! You are a priest. That’s right, an “ordained” one too! (John 15:16) You do not need to confess your sins to any man to be forgiven by God; you do not need to experience God through anybody. You have direct access to God yourself. And you are privileged to be a full time minister with the power to bring God and men together in Christ Jesus. You have obtained mercy. You will not experience the judgment you deserve. Instead of punishing you for your sins, God has forgiven you of all of them and decided to shower you with unmerited favor and blessing through Jesus. You are a vessel of mercy and not of wrath. Child of God, this is awesome. Protect this revelation. Refuse to permit the thief to tamper with it. It is most valuable to you as you conduct personal spiritual transactions. Never forget, this is who you are in Jesus! Great revelation. We all need this; and i Will teach it. I like this Bishop; this world of advancement and wealth has become a place that thieves in all levels are found. Most of us turn to our religious believes for protection and peace but as we do, there are predators that feed on the weaklings. As a Christian, I will agree with you more; that we must confess our sins directly through Jesus Christ our Lord and Savior. Now as we confess our sins, he is faithful and just to forgive us. Also, in repentance giving back what we have wrongfully taken from others must be considered. Referencing the book of Luke chp. 19..Zaccheus was a tax collector, to be clean of his sins he had to give back to follow Jesus. Ergo, in order for our sinful ways to be forgiven, repentance is the source. Thanks for the word.